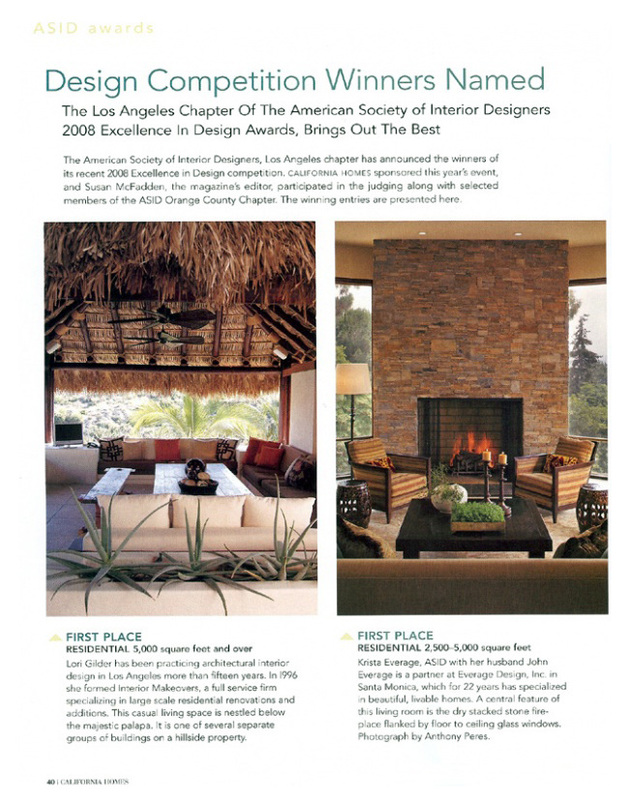 The American Society of Interior Designers, Los Angeles chapter has announced the winners of its recent 2008 Excellence in Design competition. 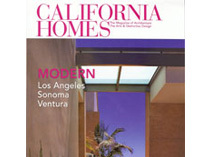 CALIFORNIA HOMES sponsored this year’s event, and Susan McFadden, the magazine’s editor, participated in the judging along with selected members of the ASID Orange County Chapter. The winning entries are presented here. 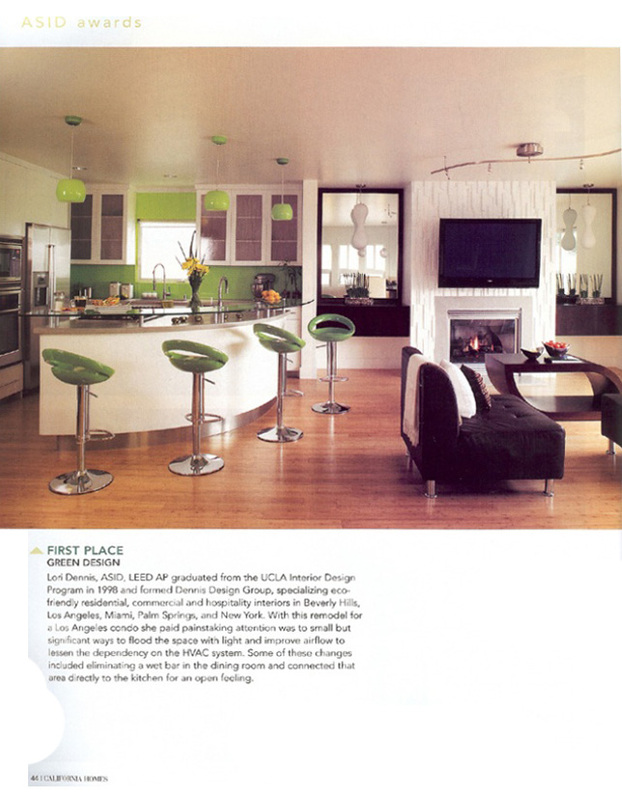 FIRST PLACE GREEN DESIGN Lori Dennis, ASID, LEED AP graduated from the UCLA Interior Design Program in 1998 and formed Dennis Design Group, specializing eco-friendly residential, commercial and hospitality interiors in Beverly Hills, Los Angeles, Miami, Palm Springs, and New York. With this remodel for a Los Angeles condo she paid painstaking attention was to small but significant ways to flood the space with light and improve airflow to lessen the dependency on the HVAC system. Some of these changes included eliminating a wet bar in the dining room and connected that area directly to the kitchen for an open feeling.